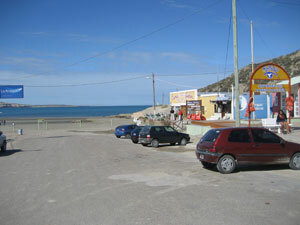 Puerto Pirámides – the gateway to the whales. 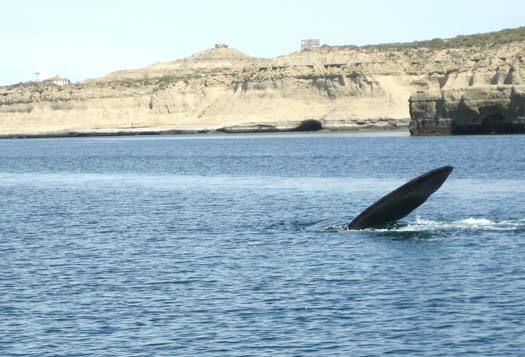 From Puerto Madryn the typical tourist will arrive in this town, be rounded up in a tour group and taken out to sea for an incredible whale watching escapade. At the end of the day they may have seen their whales but missed the town all together. What a shame, it’s a small community but one worth getting to know. The ambiance of the town changes like night and day with the tourist season. From June to November Puerto Pirámides is an upbeat exciting town and for good reason – the Southern Right Whale. Buses full of people arrive every day, the restaurants are full, and the souvenirs go like gold. The red faced tourists disembarking from each ship take home incredible pictures and memories to share with their loved ones. However, don’t be fooled into thinking that if you hit this area of the country in the whale off-season that this town has nothing to offer. An adventurous spirit could explore this town and its surroundings for days on end. Let’s start in the most obvious spot, the beach. The soft sandy beaches are beautiful, comfortable, and in the off-season very spacious. Lounging on the beach during the day is always a great way to relax, but don’t forget about those early mornings. I can’t imagine a better place to watch a sunrise. Bahía Ballenas Hostel is just a few minutes walk from the seaside so make sure you set your alarm. A trail of giants rocks off to the right side of the beach stretch out into the water and form a private walkway to the water. From these stones you can watch the sun rise above the ocean. The pink, purple, blue, and orange hues paint the sky and the calm morning waters with incredible reflections. Eventually the steadily rising sun peaks over the sea line and burns through the layers of colors to mark the new the day. On a perfect morning the only others witnessing this wonder will be those who came with you, and perhaps the whales that are also getting an early start to greet the morning’s sun. Later on in the day, on the opposite side of the beach you will see another gathering of rocks and maybe a gathering of people as well. During low tide the rocks retain all kinds of natural sea creatures and crustaceans. Sea shell collecting is a common activity in these areas but be careful not to confuse one of those crabs crawling around for another souvenir or home decoration or you may get snipped. The Puerto Pirámides restaurant owners will occasionally be attempting to catch the day’s special with their big fishing nets from this very spot. Even when the whales are not present there are plenty of other forms of wildlife. Snorkeling and scuba diving are popular sports in this area and a scuba diving ‘baptism’ is offered for beginners. One of the many tourist companies in town will tell you about their package offerings and will take you either under the water or around the Peninsula. 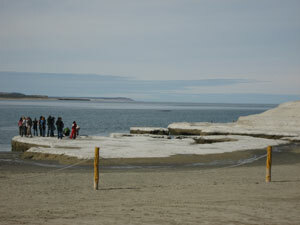 Peninsula Valdes is a site of global significance for the conservation of marine mammals and birds. 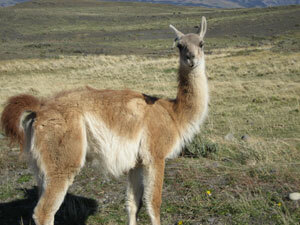 At Punta Norte you will see families of penguins and sea lions. At Punta Cantor the sluggish elephant seals provide the entertainment. 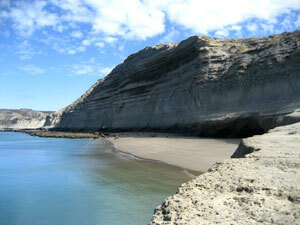 And at the southern beaches of Punta Delgada you have a combination of everything. Orcas can be seen within the right time of year and while driving from one beach scene to the next you will also witness the Patagonia specific wildlife such as guanacos, maras, ñandu and all kinds of unique birds. Don’t make the same mistake as the others who miss out on all this town has to offer. Puerto Pirámides may not be know for it’s raving night life or five star restaurants; but if it is a glimpse into the wildlife, tranquility, and true character of Patagonia you are looking for, this could be just your place. Very vivid description. Nice pictures. Good advert for Puerto. This page rendered in 0.686 seconds.